Ruthe Farmer is Senior Policy Advisor for Tech Inclusion at the White House Office of Science and Technology Policy focusing on education, technology and inclusion of underrepresented groups. Ruthe leads implementation of President Obama’s Computer Science for All initiative, a bold call to action to make computer science education available to all American students. In this capacity she works with a broad range of stakeholders and partners from both the public and private sector to build momentum for the President’s call to action. Prior to joining the White House, Ruthe worked nationally on tech, engineering and computer science education and advocacy, with a focus on equity and inclusion. 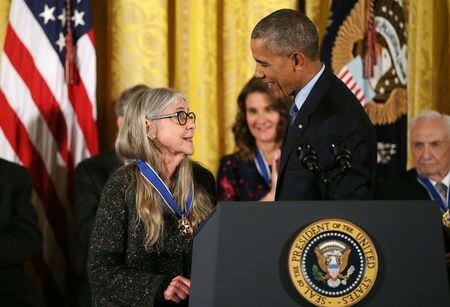 She formerly was Chief Strategy and Growth Officer at the National Center for Women & IT, chaired Computer Science Education Week in 2012 and led tech and engineering programs at Girl Scouts of the USA. Ruthe holds a BA from Lewis & Clark College and an MBA in Social Entrepreneurship from the Oxford University’s Said Business School and is passionate about integrating innovative business strategies into social change efforts. 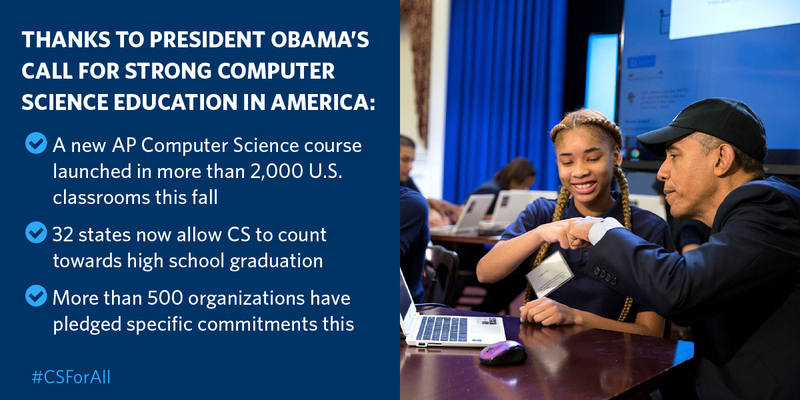 The White House celebrates a banner year of community action, momentum and accomplishments for computer science education. 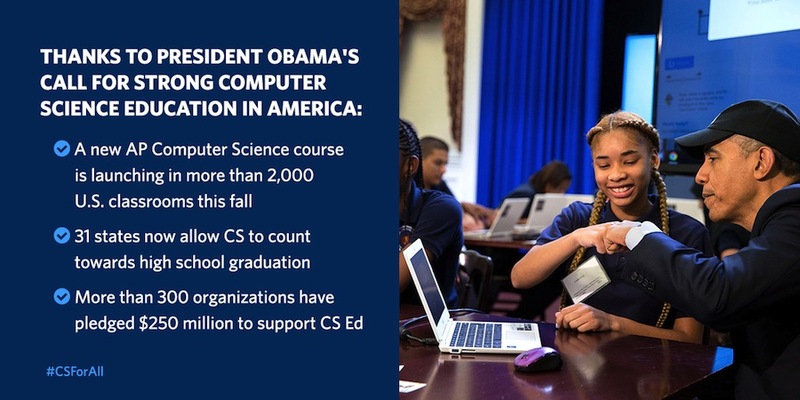 Learn how 2016 has been a year of action in support of the President's Computer Science for All initiative and computer science education across the nation. CSEdWeek is an opportunity to join the #CSforAll movement and give every student the opportunity to learn computer science. Today at 1:00pm ET, tune in to first-ever Summit on Computer Science for All, marking progress on President Obama’s call to action, and announcing new commitments. Ruthe Farmer is being honored as a Champion of Change for her work to expand opportunities for young learners from communities historically underserved or underrepresented in tech fields.